We are just kicking off the new year, and astrologists are warning we’re going to be starting it with a bang. On January 20/21 we are going to be experiencing an incredible full moon lunar eclipse in Leo, and its energy is going to challenge the best of us! January is often seen as a time of new beginnings and fresh starts, leaving the previous year behind you and moving forward with a clean slate. In order to take advantage of this great opportunity was set goals and intentions, whether we refer to them as ‘New Year’s resolutions’, with the intention of making the coming year the best that it can be. However, this concept of closing chapters and opening doors has never been more prevalent than it will be in 2019 with the astrological influences we will experience. There is one significant phenomenon about to light up the night sky, it’s energy sure to influence the lives of everyone on the planet. A full lunar eclipse refers to the moment when the Earth comes between the sun and the moon in such a way that it almost entirely blocks the sun’s light from reaching the moon. The small amount of light that does make its way to the moon is filtered and refracted in the Earth’s atmosphere, causing it to appear reddish. This is what causes the Blood Moon. From an astrological perspective, this is significant. The sun carries an incredibly important role in astrology, representing our ‘self’, our personality and our ego. This is the reason why the sun’s placement in the zodiac is said to provide such an accurate insight into our personality, known as our ‘sun sign’ or more commonly, our ‘zodiac sign’. Furthermore, the moon rules directly over our emotions and intuition. 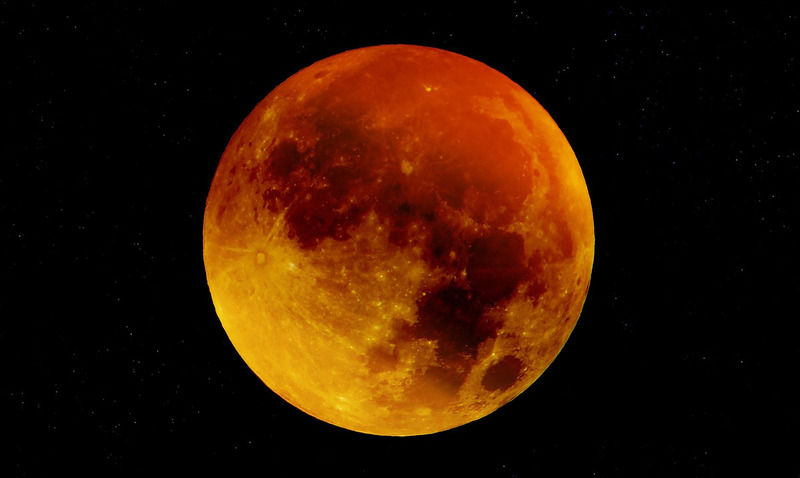 Therefore, the lunar eclipse impacts who we are, how we feel and how we react to the world around us. The lunar eclipse encourages us to explore the darker corners and crevices of our lives and our inner selves. This includes exploring new opportunities, life lessons from the past and ways to improve life as we know it. It’s a time of self-realization, revelations and incredible growth. However, you should know that self-realization is rarely easy! Prepare to explore everything that makes you, you – including strengths, weaknesses, quirks and the very traits that make you unique. At the same time, you will find yourself reassessing your relationships, determining who is in your life for the ‘right reasons’, which connections are helping to propel you forward and who is, unfortunately, holding you back in life. It’s never easy to make these decisions, especially if it requires cutting someone from your life. Try to remember that you aren’t removing someone in your life for no reason. You need to protect yourself, and that includes eliminating negative and toxic influences that are dragging you down and preventing you from being the best version of yourself. Adding to the incredible energy that we are feeling at this time is the fact that is occurring on a Leo full moon. A full moon is the moment of highest emotional intensity in the lunar cycle, taking even the simplest of emotions and magnifying them in an incredible way. This is further influenced by the bold, confident, take charge energy of Leo. The energy associated with Leo is one of determination, loyalty, and great success. It will push you to make the necessary changes during this time but be prepared for the fact it isn’t one to accept excuses or anything less than 100% effort. If you harness this energy, it can be a powerful and empowering time that will propel you forward to great success in life. However, be warned, fighting the energy of the Leo full moon lunar eclipse will bring you nothing but pain and struggle. The choice is yours.